One drug saved the world. Now, the same drug threatens to destroy it. Ian Keys’s rocket career took him to the top of pharma giant Hemisphere — creator of Necrophage, the drug that paused the outbreak and allowed the infected to live among us as normal. Ian’s new position gives him access to secrets. To information the company doesn’t want others to know. And now, an anonymous insider has begun feeding him ominous hints. Ian can’t say what’s wrong at Hemisphere, exactly — only that something is. And that the “cure” the company gave the world might not have been a cure at all. Now men are watching Ian’s house. They’re following his wife wherever she goes. When he’s called to CEO Archibald Burgess’s office, he’s taken by armed guards — then plied with vague threats. What would happen if Necrophage failed? Burgess asks. What would become of our society if the disease were allowed to progress again … and all of our well-behaved patients slowly turned feral? There’s only one person Ian can take his case to: reporter Alice Frank, who’s been trying to blow the whistle on Hemisphere for years. But is there enough time to save what’s left of the world … or has the inevitable slide back into chaos already begun? 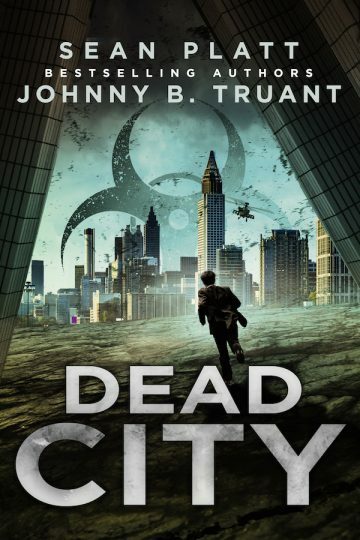 In this gripping biological technothriller, bestselling authors Johnny B. Truant and Sean Platt blend real-world genetic engineering and high-stakes corporate espionage to deliver a heart-pumping race against the clock to save humanity. Download an EXCLUSIVE bonus story! Infected in the early days of the plague, Bobby Baltimore’s mother became his worst nightmare. Every day, Bobby would pick up his father’s shotgun and load it. And every day, he would unload it and put it away. 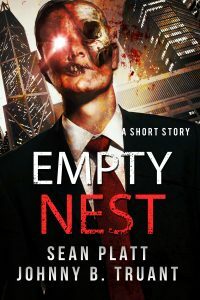 Download the EXCLUSIVE story “Empty Nest” for FREE today in audio and your favorite eBook formats!